Some of the links on this page lead to resources not under the control of the City of Florence. The presence of these links should not be construed as an endorsement of the represented sites by the City of Florence. The City of Florence is not responsible for the content of any external links contained in this site. 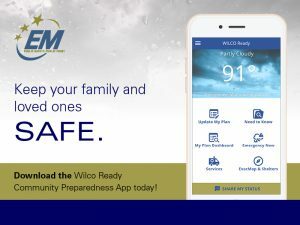 Click here for directions to download Wilco Ready App from Williamson County Emergency Management.